If you are friends with us on Instagram, then you know we’ve been working on new designs for next season! I asked you on Instagram stories for feedback on the two fabrics I’m currently choosing. They’ve been so helpful, thank you! I’ve ordered sample fabric and will begin manufacturing samples! Hopefully we’ll have two new tops to add to the store next year. In other exciting news, we will be popping up in Costa Mesa next month! 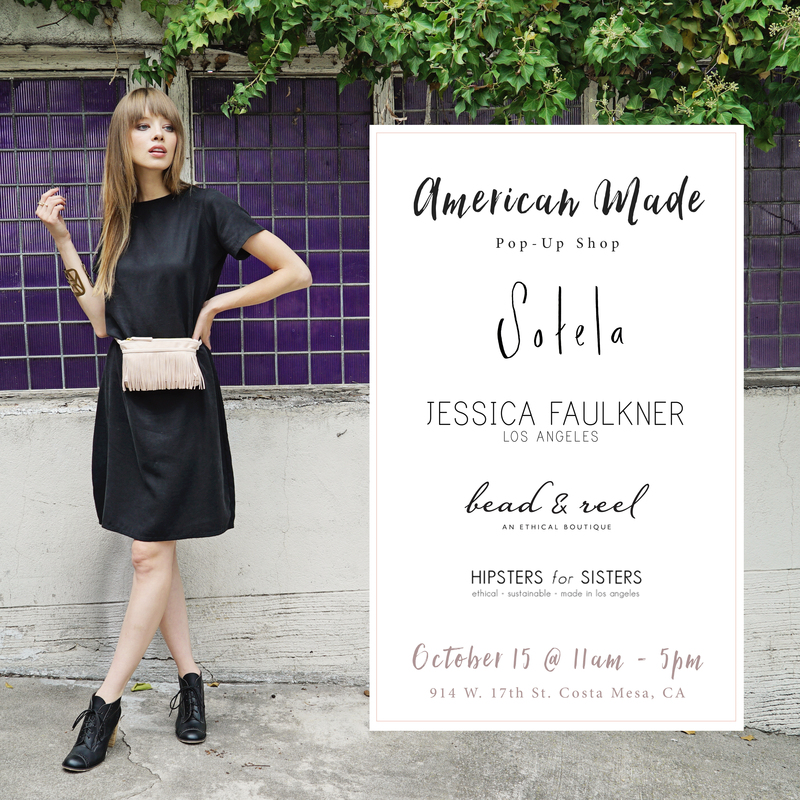 If you live or will be near southern California on October 15th, you can try on Sotela’s Essential dresses in person! No more having to guess your size or which dress to choose because I will bring all three! We will be there along with several amazing American-made brands. Shop your fall wardrobe in person and meet the founders of 5 woman-owned brands.